Now that AT&T’s 4G LTE network is finally sprouting up in small pockets around the country, it’s naturally fitting for them to finally bring forth smartphones packing support for its next-generation data network. 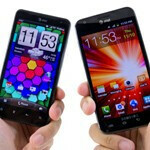 Rather than laying out the red carpet for their arrival, both the HTC Vivid and Samsung Galaxy S II Skyrocket came out of nowhere in a relatively low key manner to offer AT&T customers the ability to surf the waves of 4G LTE goodness – and the timing couldn’t have been sooner! Knowing that these two high-end smartphones offer 4G LTE connectivity, it begs the question as to which one is the preferred choice between the two. 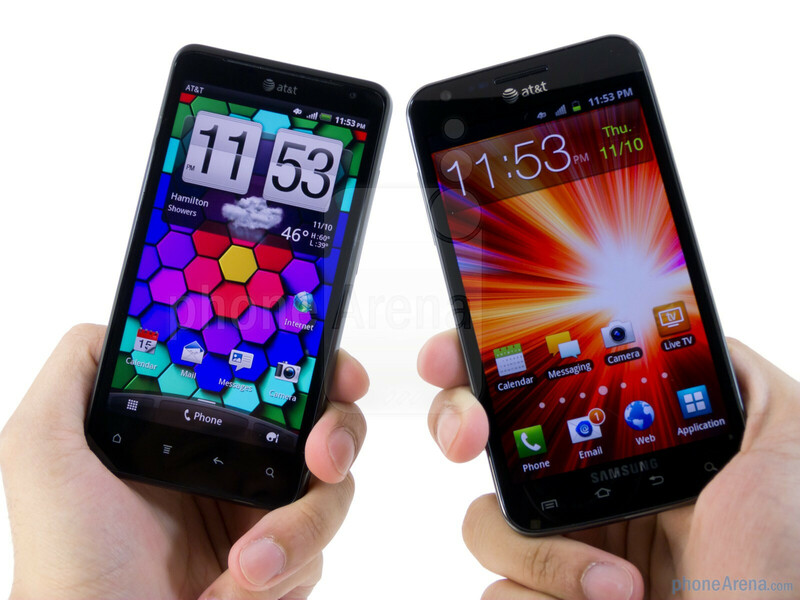 Quickly looking at the two, there’s nothing particularly amazing about their designs, mainly because they boast distinguishable design characteristic that we’ve seen already in use by previous devices – like the HTC EVO 4G and Samsung Galaxy S II. If we really have to pick between the two, we’d have to give it to the HTC Vivid thanks to its classy industrial design and considerably more solid feel. Well, it’s not say that the Skyrocket is entirely tasteless, especially when it’s the thinner and more lightweight between the two. 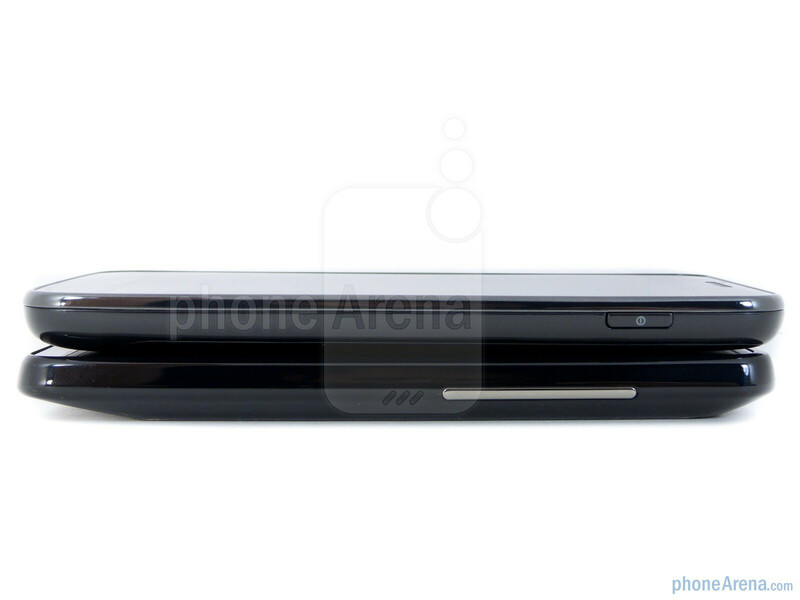 On paper, some are led to believe that the HTC Vivid’s 4.5” qHD (540 x 960) S-LCD display is going the better one due to its higher resolution/pixel density, but in actuality, it doesn’t quite capture our attention because of its low brightness output. At the same time though, the Skyrocket’s 4.5” WVGA (480 x 800) resolution is undoubtedly behind the times at this point – though, it’s able to appeal considerably more thanks to being a Super AMOLED Plus display. In all honestly, our eyes are mesmerized by its polarizing color production, high contrast, and wide viewing angles to maintain its clarity in almost any condition. Since the capacitive buttons on the Skyrocket are placed closer to the bottom edge, we’re more prone to accidentally pressing them – whereas, it’s not a problem on the Vivid. Sporting a more pronounced look and springy response, we easily prefer the volume rocker and dedicated power button on the Skyrocket. Honestly, they’re much easier to activate over the flat and indistinct feel with the Vivid’s physical buttons. Above their displays, they both feature front-facing cameras for video chat and shooting self-portraits, but the Skyrocket packs the one with the higher resolution at 2-megapixels, while the Vivid packs a 1.3-megapixel one. 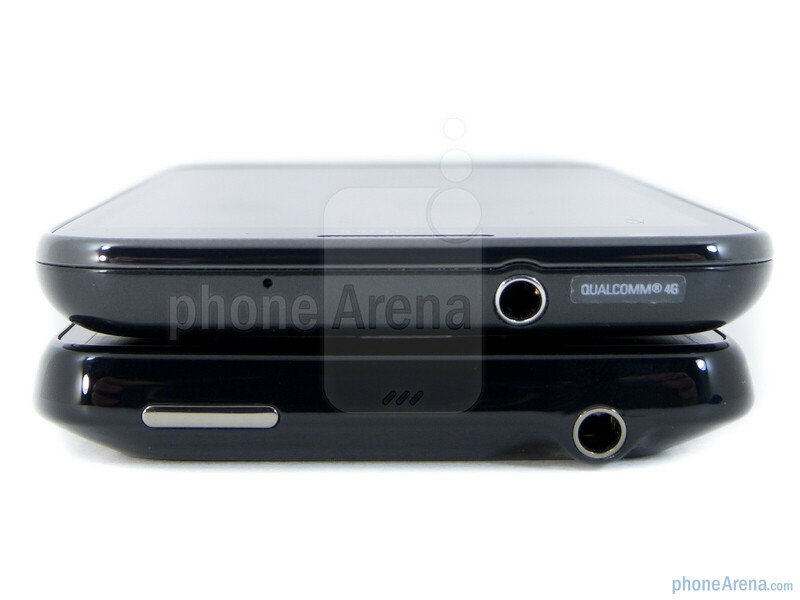 Luckily, the microUSB ports on both smartphones also offer video-out functionality with the aid of an optional MHL adapter – plus, they also provide the usefulness of a mirrored experience. 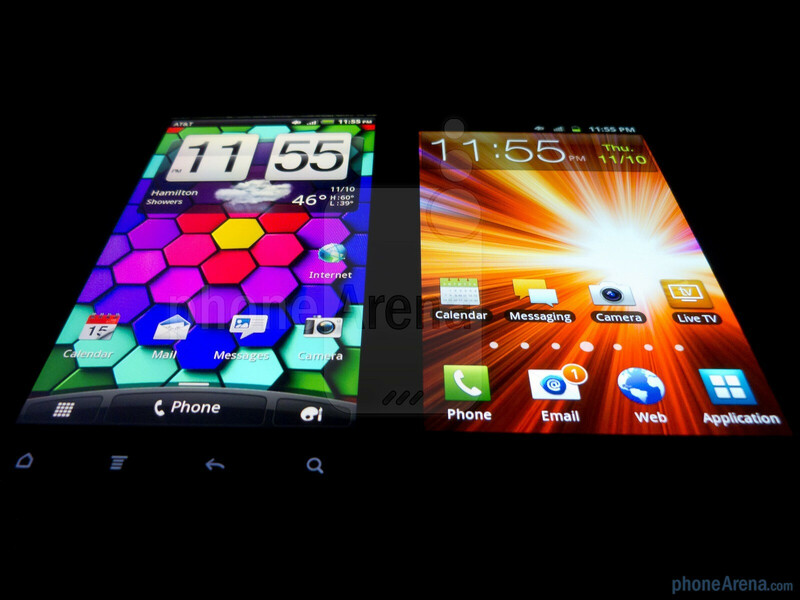 Me want sgs3. 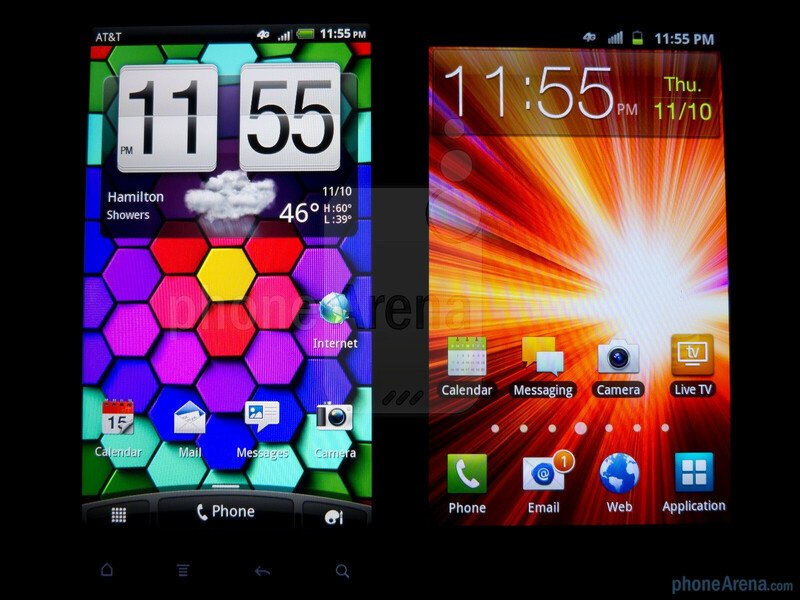 I played with the sgs2 in depth and aside from touchwiz I love it. Sprint verison fyi. 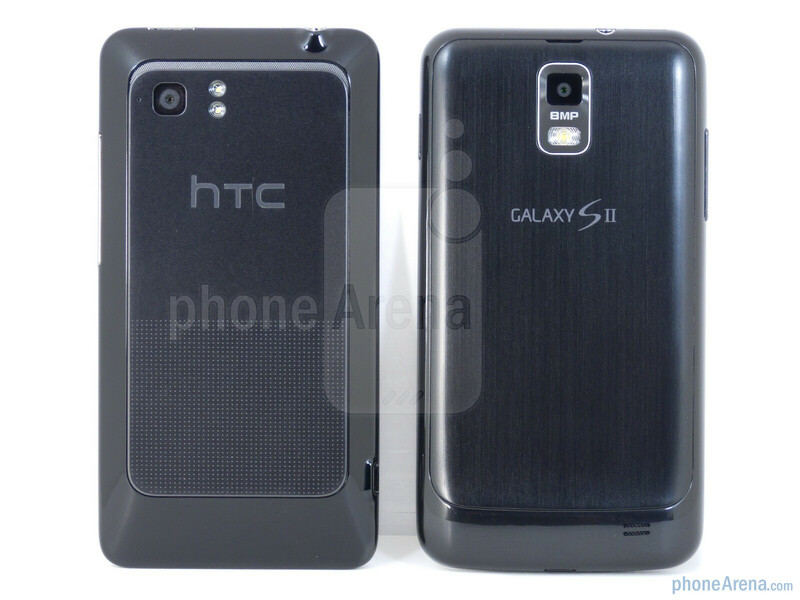 So sgs3 im sure will be great. 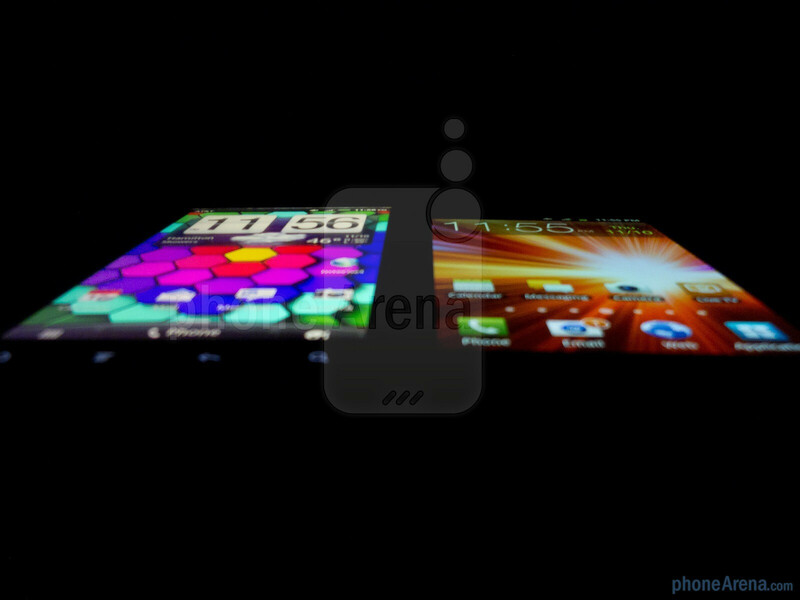 Htc has dissapointed lately with their poor bat life but i do love sense. moto hasnt been on par with sammy either. Unless the ip5 has 1.5ghz dual core 4g lte 4 inch display and great bat life i am going to get the sgs3 and root touchwiz off. 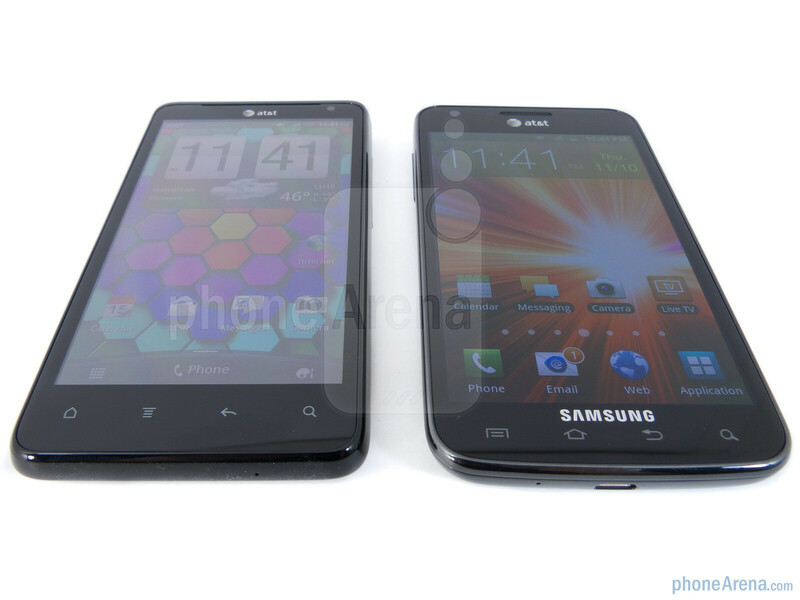 Well sammy just realesed the sgs2 in the states so dont hold your breath it may be awhile. The sgs3 hasnt even been realesed around the world yet and it took a while for it to get to the usa so i would expect a good time to pass before we get it. 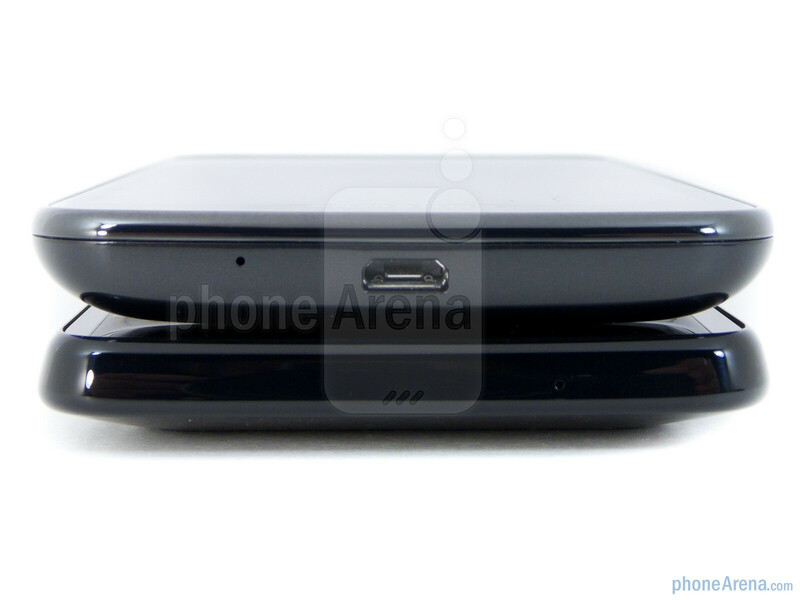 Anyway when I am due for an upgrade the sgs3 and iphone 5 should be the heavyweights on verizon. Its stupid the modding. It was a joke. 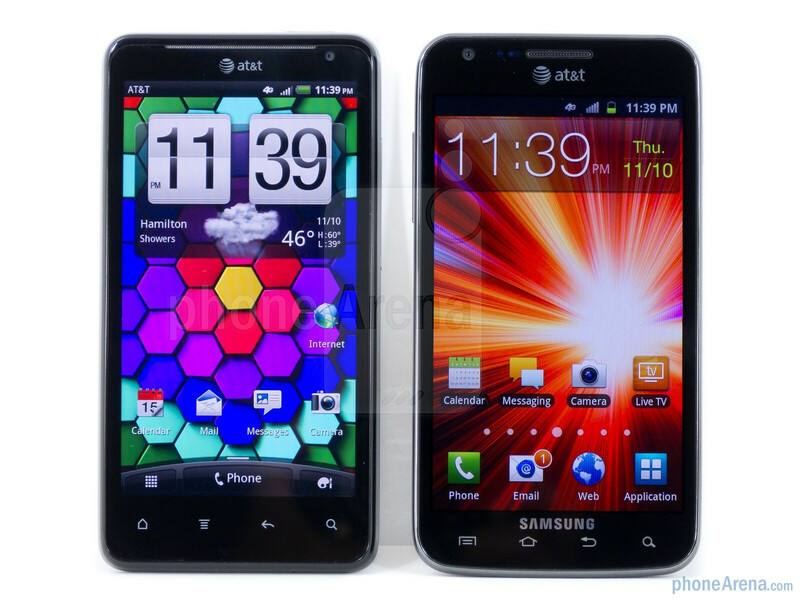 I'm going to go with the Samsung Galaxy S2 Skyrocket, the LG Nitro HD seems tempting but the LG part is the turn off. 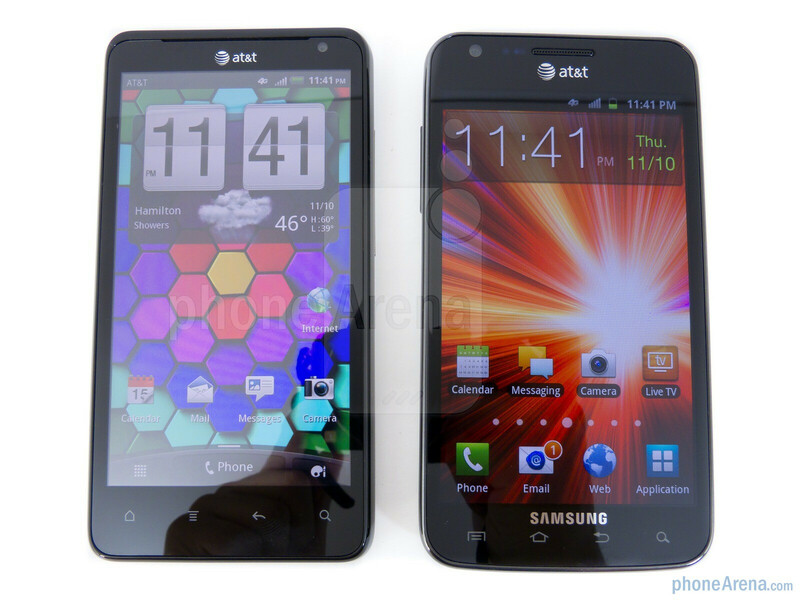 One of these two are most likely the phone I get for my wife if we stay on AT&T. She is all in on a huge screen (she has a friend that she wants to beat, and her friend has a 4.3". I find that really, really amusing!!) and she wants the best camera on a phone as well. She also needs a flash player. 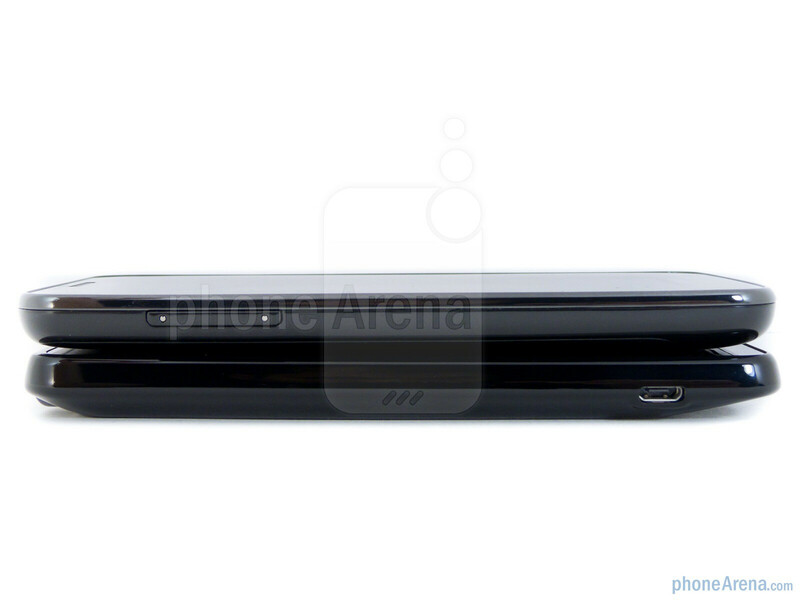 Kinda lean to the Vivid only due to most reviews raving about the camera. I used all the GSII variants on AT&T and noticed they don't have macro mode for the camera. Has anyone else noticed this? Wasn't the Vivid initially advertised as 60FPS 1080P? I look at specs now and it shows 30FPS and 60FPS is only 720P??? Thank you for a truly thorough review. I'm going to go with the Samsung too. But, I think I always was anyway. It came down to the fluidity of the platform. Thanks again! 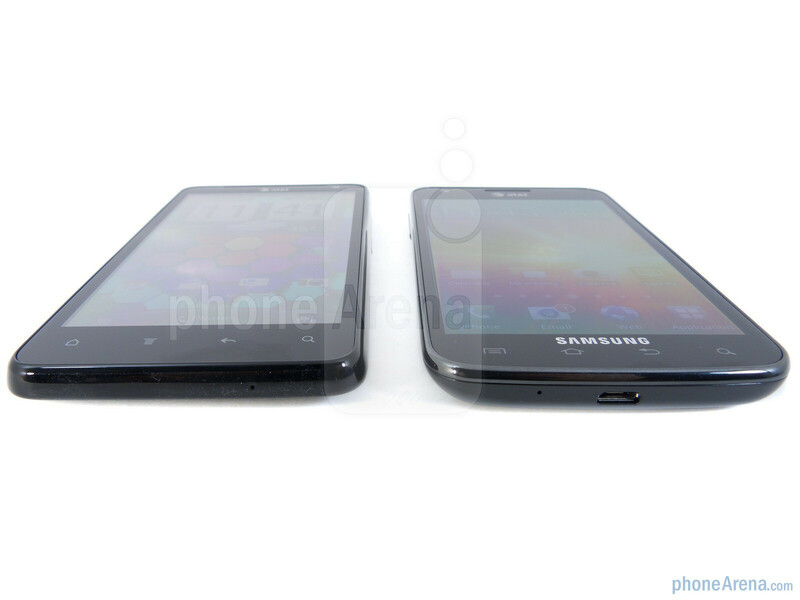 i have the Samsung Galaxy S2 and if i knew a month later theyd come out with the Skyrocket i would have definately waited for the fast Skyrocket. With that said i have never really liked Samsung due to the fact they are absolutely the slowest in Android update releases. Since September when i purchased this phone i have loved ever second of it, unfortunately i had some wear and tear issues with the charging port, i use it alot at work and like an idiot ill keep charging cord plugged into port while putting phone in pocket, so that was only issue i had which was clearly my fault, i sent it into geek squad to be fixed which i know thats another topic for different time but if it canot be fixed and they replace phone i will go with skyrocket. my girlfriend wants new phone which is why i went searching for reviews and due to this i think she will end up coming over to samsung with me, even tho she has this weird sense that having same phones is wierd... yea you know now what i deal with on a daily so thanks to this review im definagtely going to do whatever i can to update my galaxy s2 to skyrocket. I got a Samsung Skyrocket, I thing its a waste of money, right now 100 more than Galaxy S2 and HTC Vivid, but I am learning not to buy Samsung phones, because they promise but they never update the software, they instead make a new device with the new hardware. I always have Samsung and it never got updated to the new software, not even the infuse, so I go with the HTC VIVID, I just replaced my Skyrocket for the Vivid, and I am not looking back.